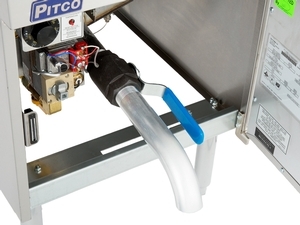 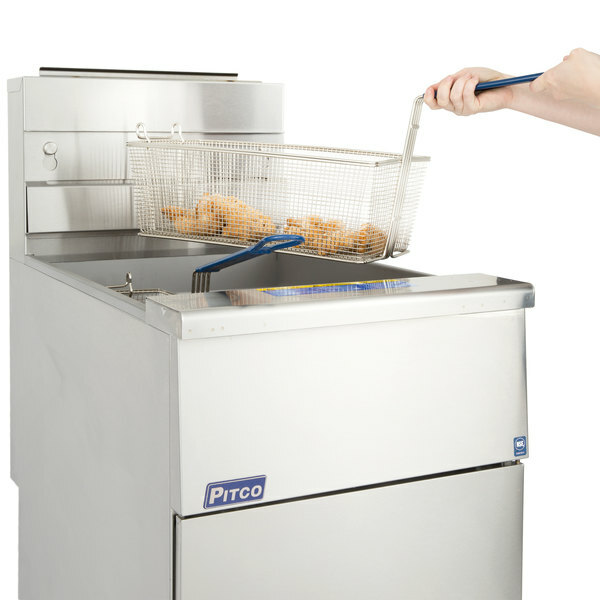 Fill out your cooking lineup or replace a worn out fryer with this Pitco SG18-S 75 lb. 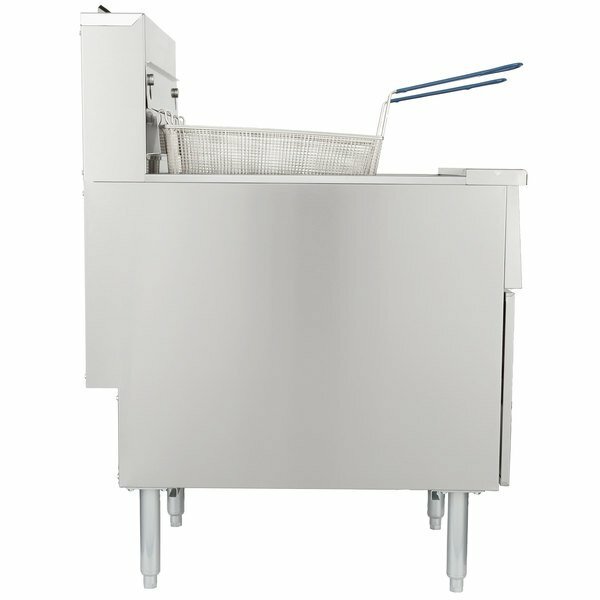 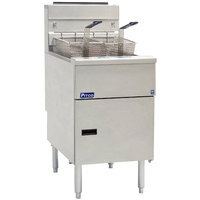 natural gas 4 tube stainless steel floor fryer. 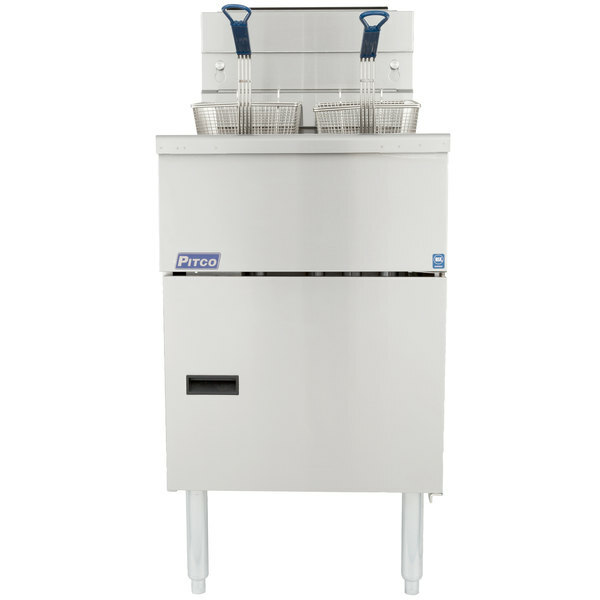 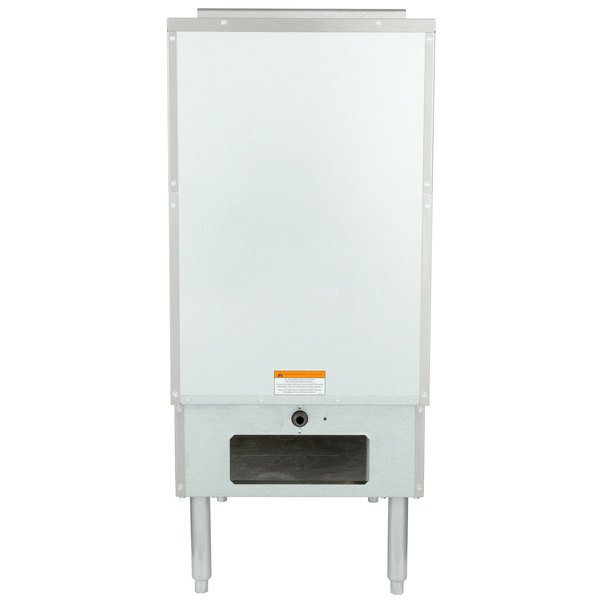 This unit boasts an impressive 140,000 BTUs of heating power that is ideal for your higher volume frying needs! 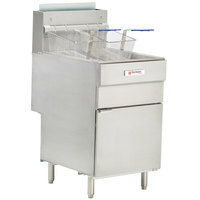 Whether you are making popcorn chicken and shrimp for your tavern or adding mozzarella sticks and french fries to your snack bar, this 75 lb. 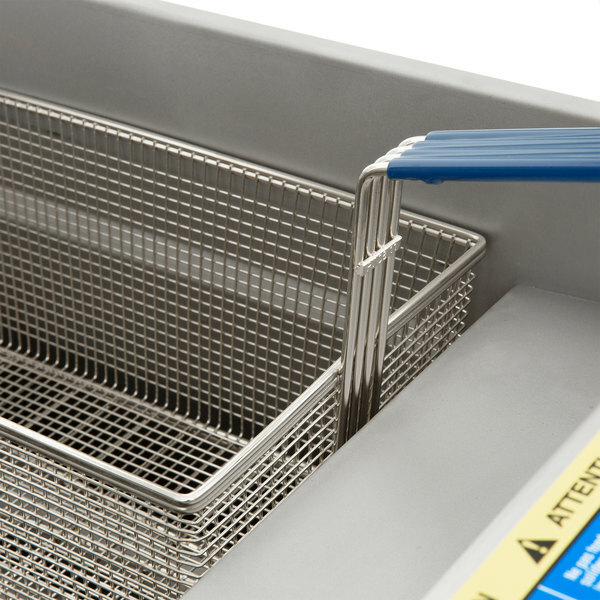 floor fryer is a great choice. 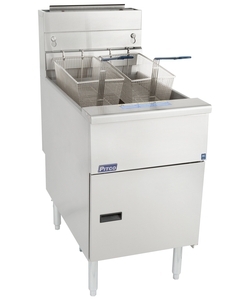 This fryer provides a dependable, easy-to-use option for many types of foodservice establishments. 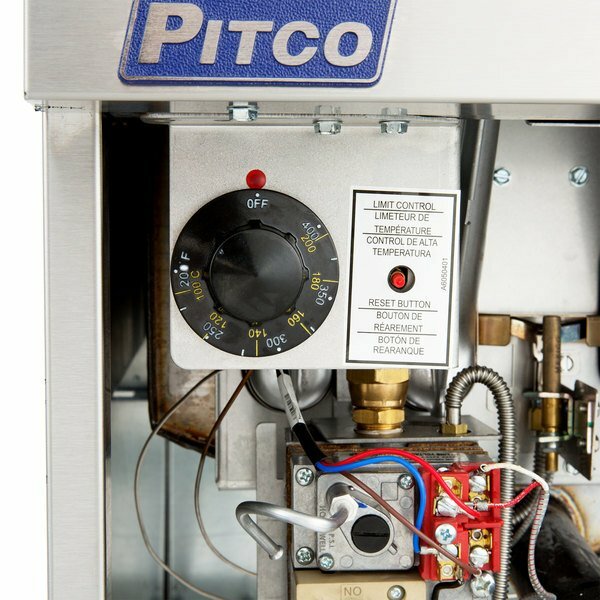 The Solstice burner technology doesn't require any blowers or ceramics, yet still manages to provide plenty of power. 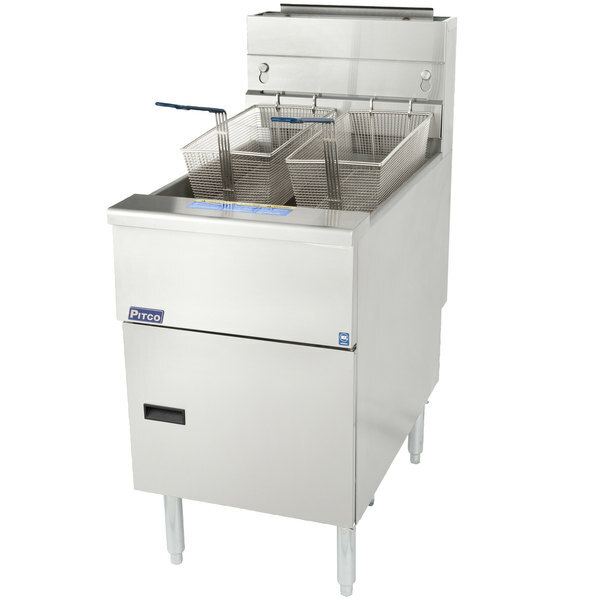 Plus, the patented self-cleaning burner and down draft systems keep your fryer working at higher efficiency. 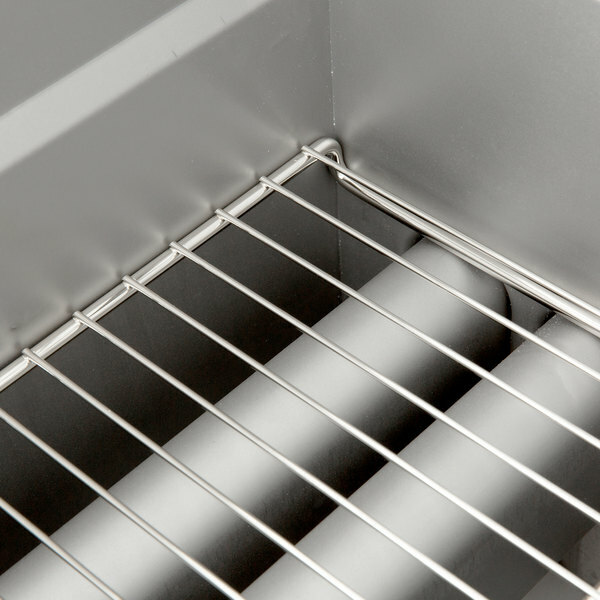 The tube rack also allows crumbs to fall into the cool zone for easy disposal at the end of the day. 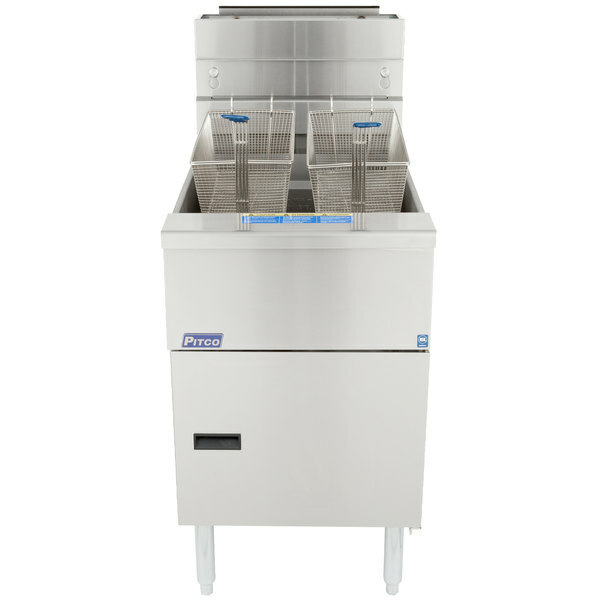 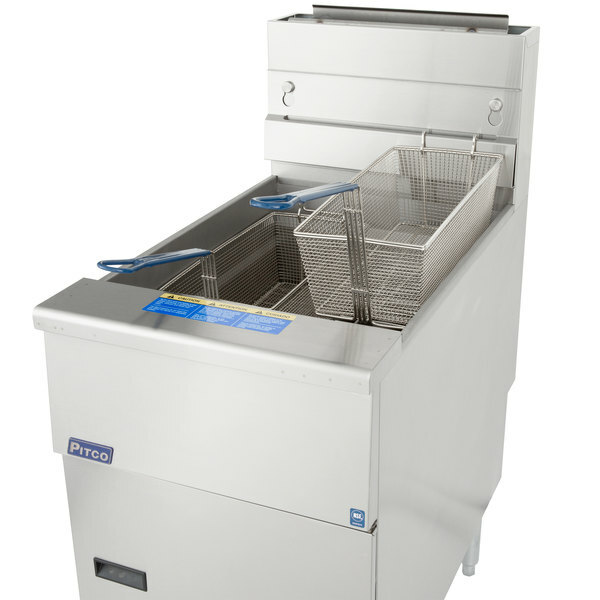 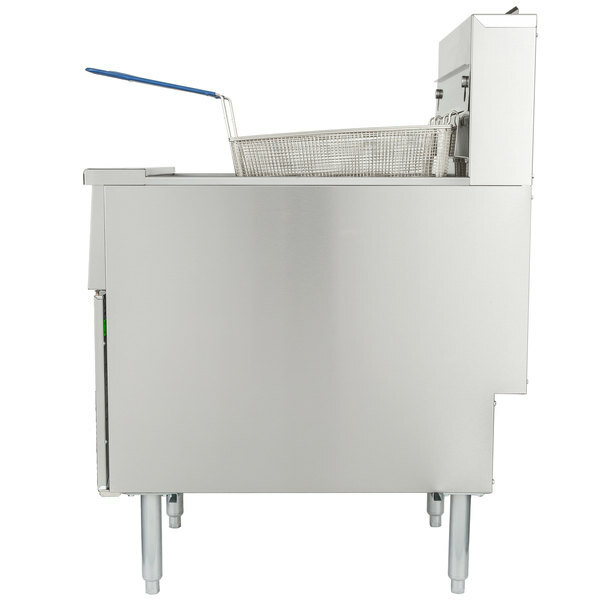 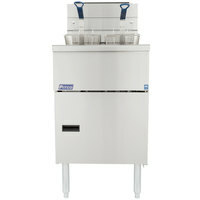 A stainless steel cabinet makes this fryer a great choice for commercial environments. 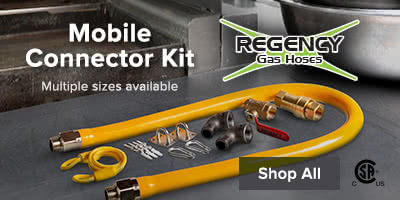 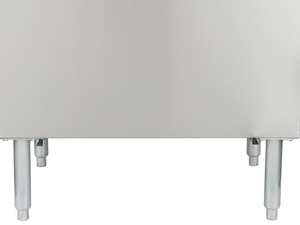 The tank is also made of stainless steel for greater durability, corrosion resistance, and a longer product life. 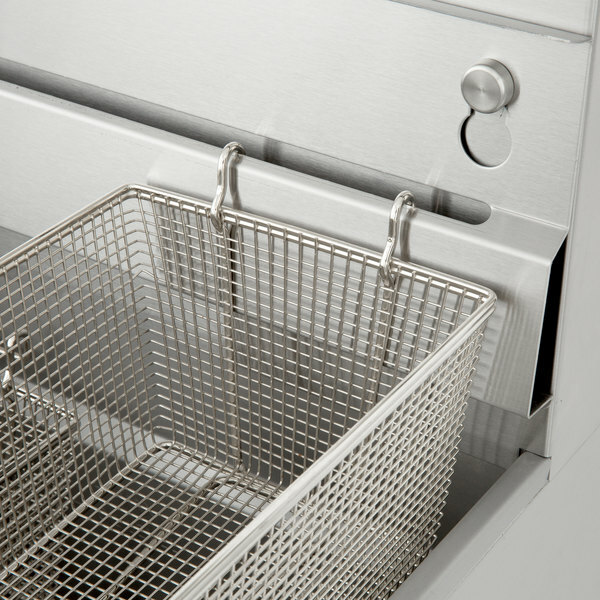 This fryer comes with two nickel plated oblong fry baskets so that you can get started cooking right away! 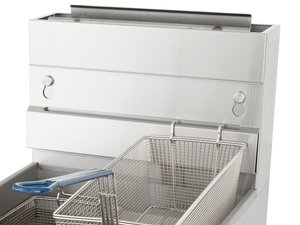 Plus, the twin baskets are great for smaller portions or cooking different types of foods at the same time. 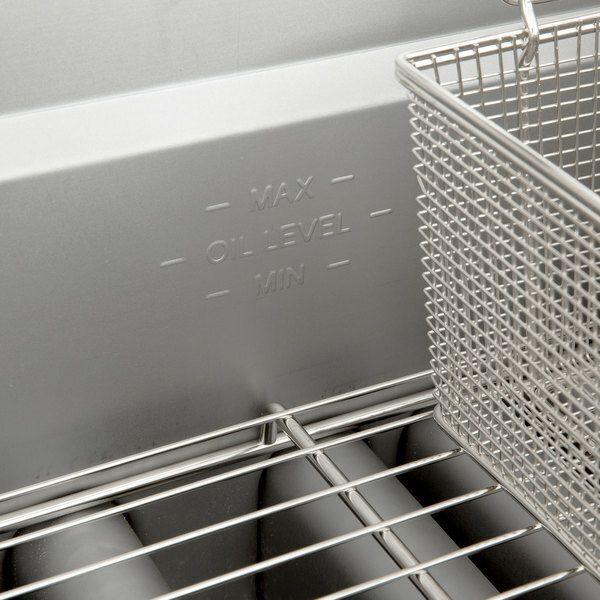 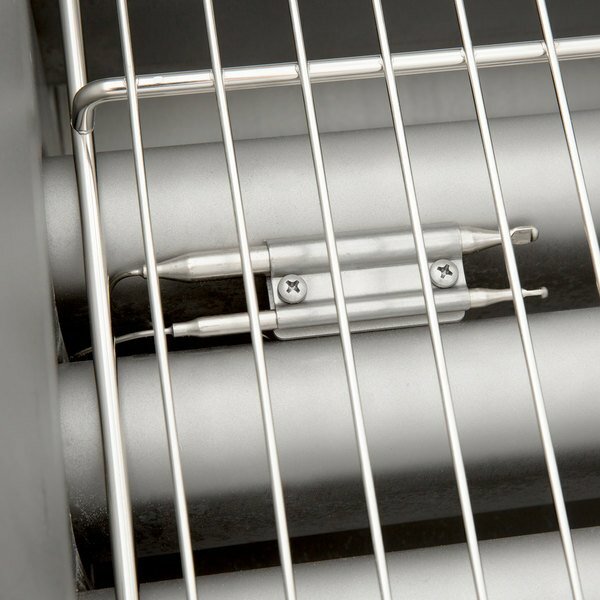 The basket hanger provides a convenient place for baskets to drain after cooking. 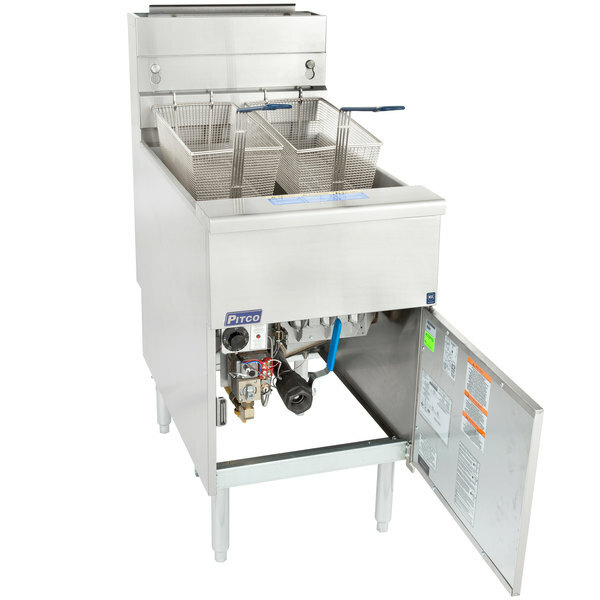 It is also completely removable without the use of tools for when you need to thoroughly clean your fryer at the end of the day. 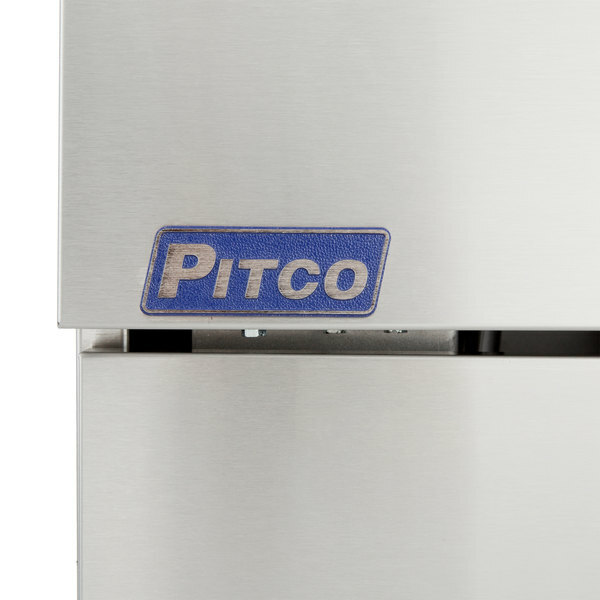 This fryer features a built-in integrated flue deflector to direct hot gases out through your ventilation system. 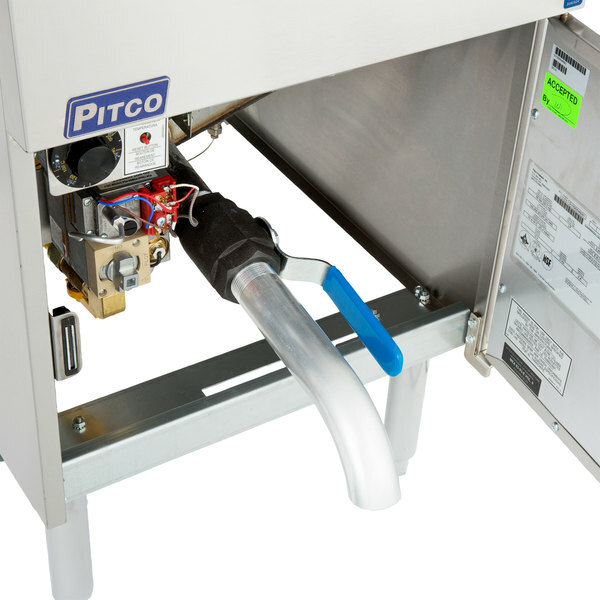 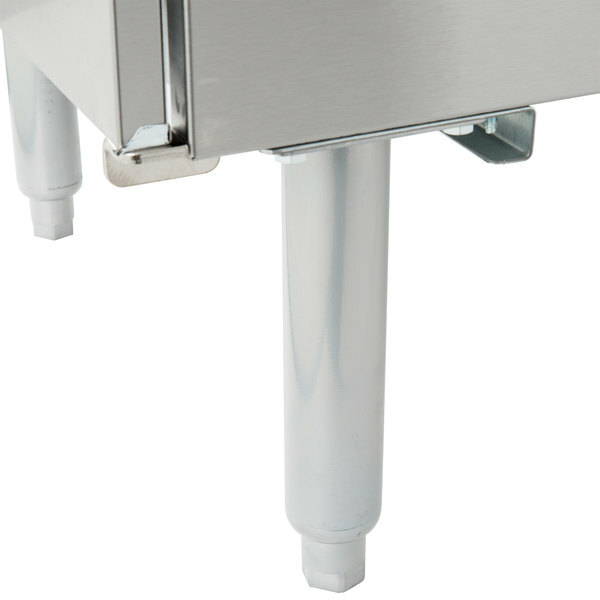 The full port drain ensures that you can quickly and easily drain away used oil for disposal. 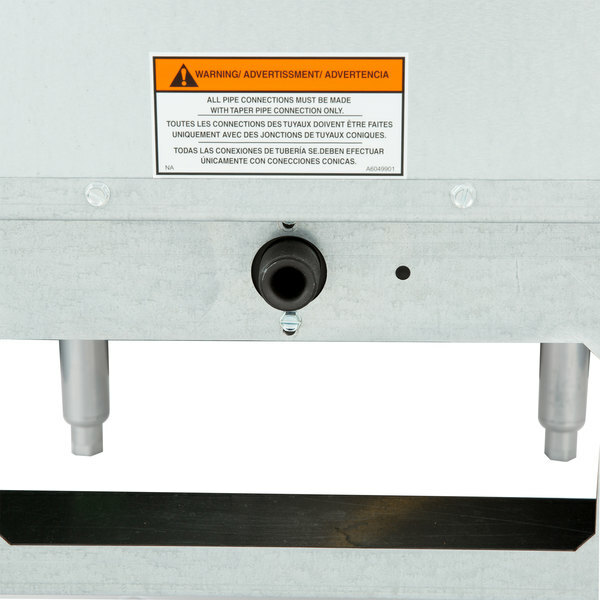 The adjustable 9" legs mean that you can keep your fryer level and stable on uneven floors. 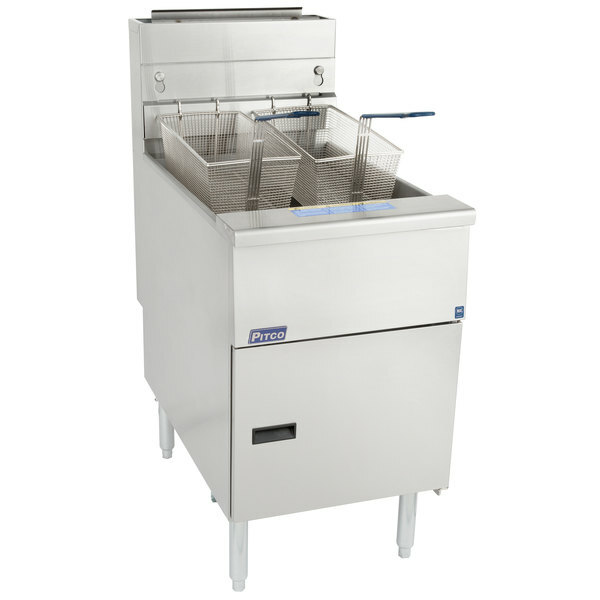 With thermostatic controls and a high temperature safety shut off switch, this fryer has a quick response time. 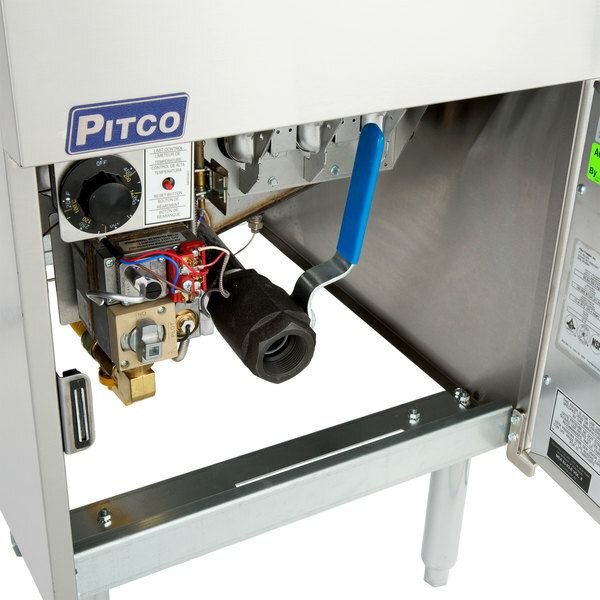 Also, the separate manual gas shutoffs allow for front servicing.